Stormandstars.net: Born Pretty Store | Cats In Spaaaaaace! 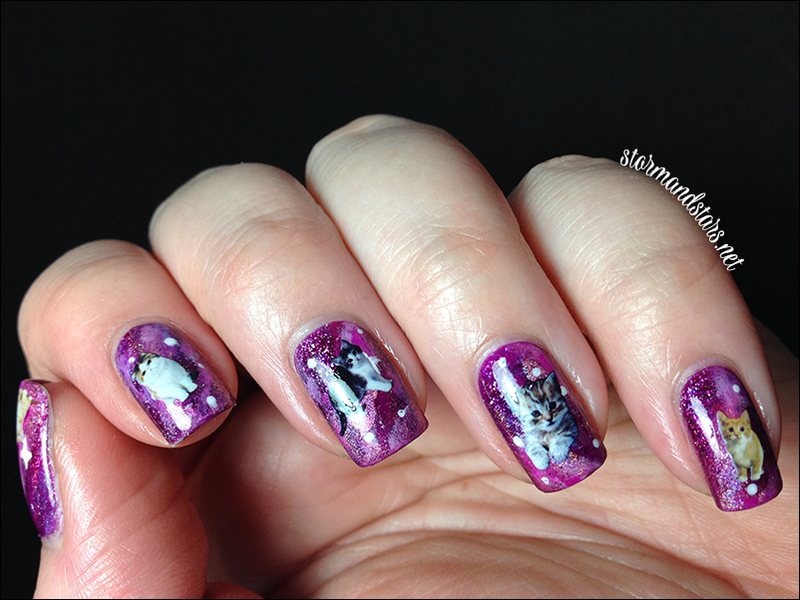 When I saw these nail art water decals on Born Pretty Store, I knew I had to have them. 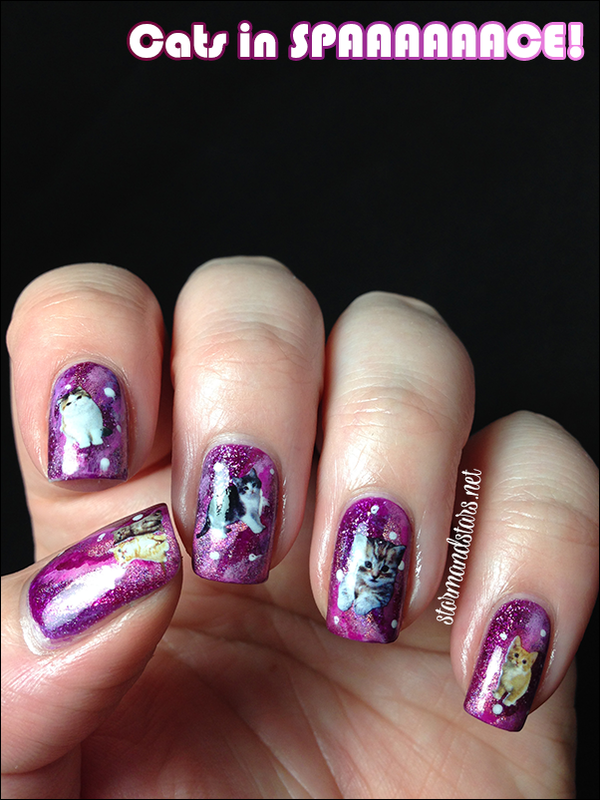 What could be better than tiny kitties and puppies on your nails? 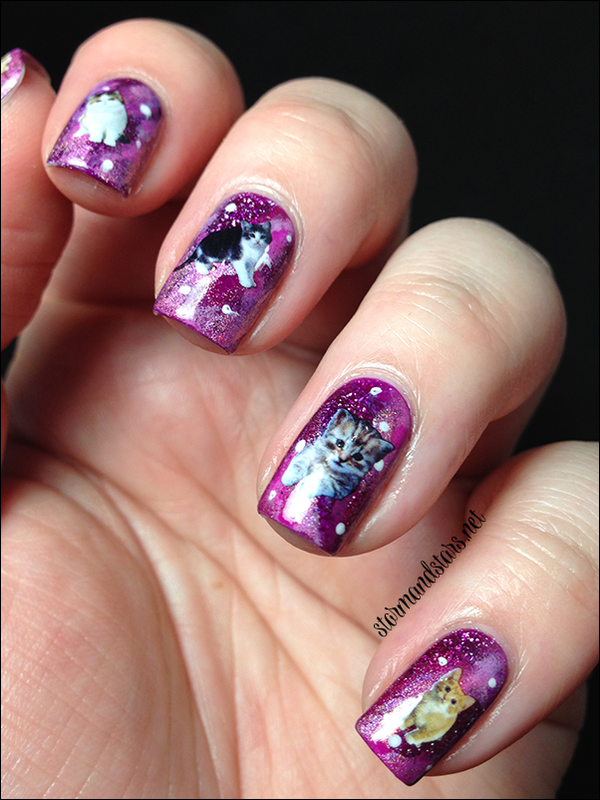 Well... tiny kitties in SPACE! I honestly just can't wait for you to see these. Ready? Seeeee?! How flipping cute are those water decals?!?! I absolutely love them. 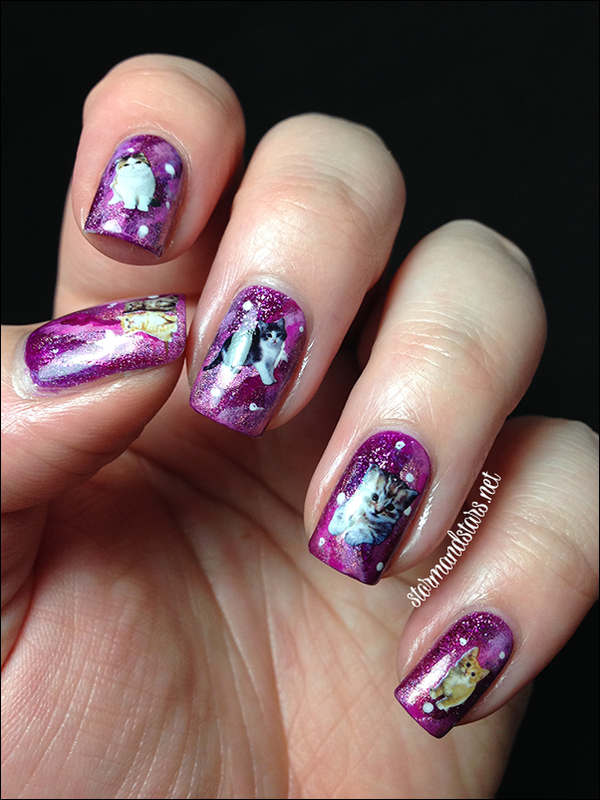 From the moment I had them in my hands I knew I wanted to do a space theme behind them. With all the Cats in Space memes floating around I thought it would be a perfect backdrop. 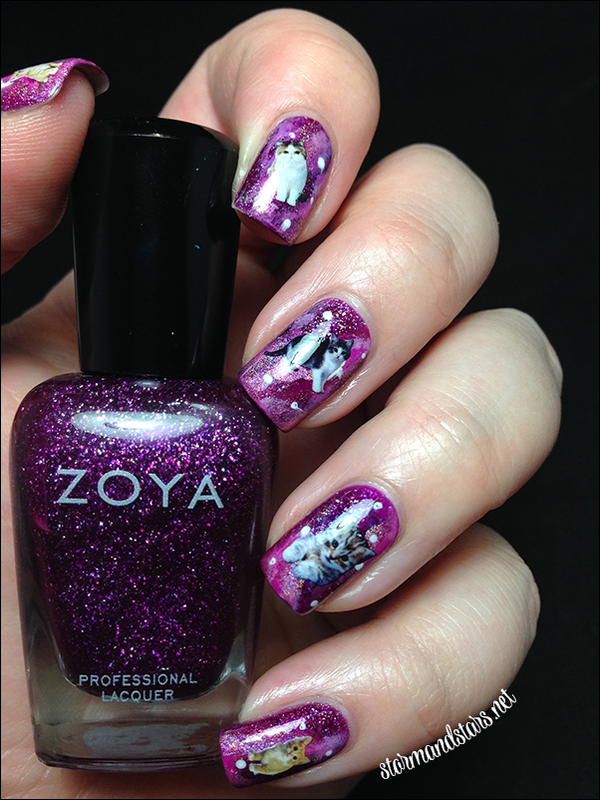 I started with a base of Zoya Aurora and then used about 15 different lacquers and sponged them on to create the final look of the galaxy. Please don't ask for a list, I really don't remember. I know I used some of the Color Club Halo Hues and Orly Miss Conduct, but other than that I really couldn't tell you. Sorry! 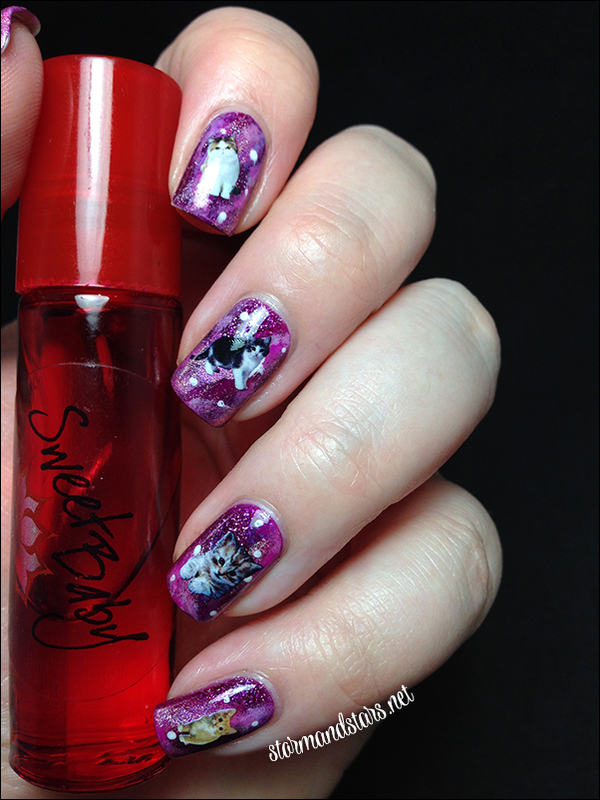 After my galaxy nails were dry (thank you Seche Vite) I added the decals. These water decals are sooooo easy to apply. Just cut out your desired decal from the sheet, plunge into warm water for about 5-10 seconds and then slide the decal off the paper with your finger. Then you can just place it on your nail. As long as your nail and the decal are wet, you can move it around on your nail to get the perfect placement. Once your decal is where you want it, dab the nail lightly with a dry paper towel to make sure the decal stays in place. Once all the decals were placed and dry I used a coat of Seche Vite to seal it all in and make my nails uber shiny. I absolutely love how these came out and I love working with water decals. Born Pretty Store has so many options for decals, I highly suggest checking them out. 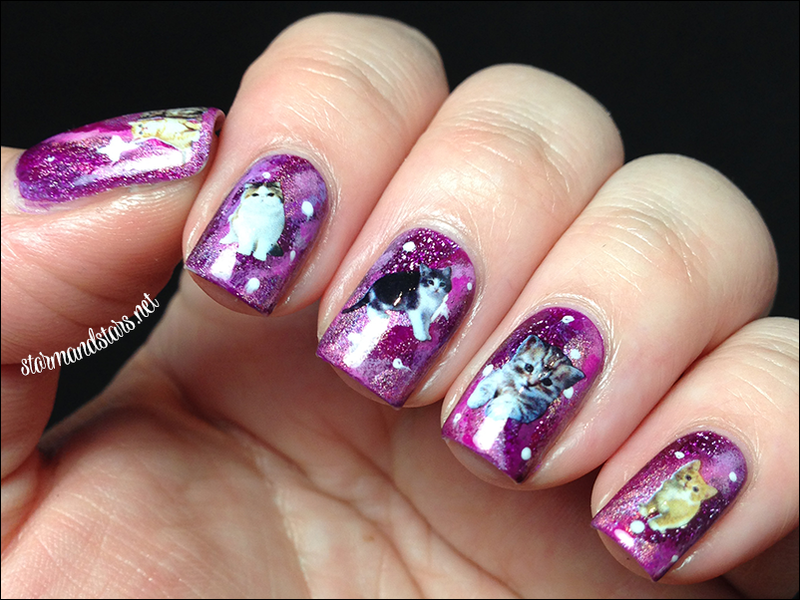 What would you do with some tiny kitty cat decals? You can purchase these water decals over here. They retail for $3.99 and you get a ton of them! Use my code AGBQ10 for 10% off your entire order. As always, Born Pretty Store provides free worldwide shipping on all orders! I hope you enjoyed my Cats in Spaaaaaaace! Have a wonderful rest of your day!